We aren’t stuck with this dysfunctional corporate model, but business needs a new DNA if it is to enact the comprehensive approach we need. Pavan Sukhdev lays out a sweeping new vision for tomorrow’s corporation: one that will increase human wellbeing and social equity, decrease environmental risks and ecological losses, and still generate profit. 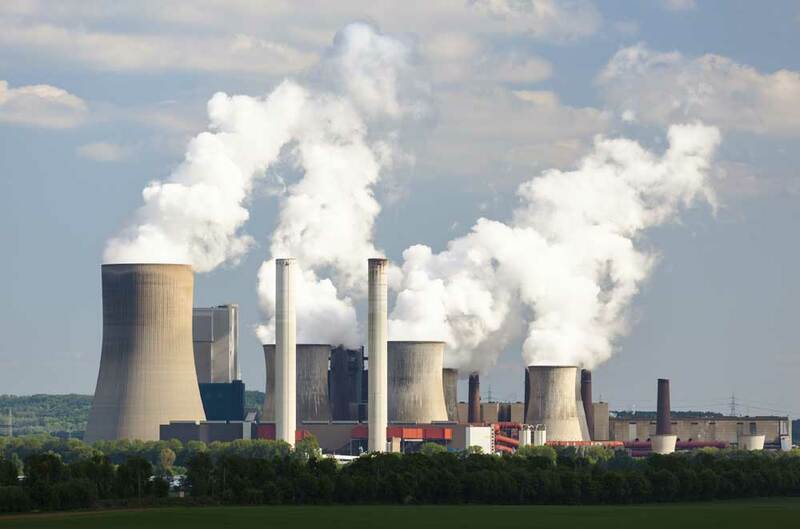 Through a combination of internal changes in corporate governance and external regulations and policies, Corporation 2020 can become a reality in the next decade—and it must, argues Sukhdev, if we are to avert catastrophic social imbalance and ecological harm. "In his nuanced analysis, corporations need to align their aims with society, becoming viable communities, institutes and financial, human and natural capital 'factories'." "A strong case for why corporations, extolled as agents of change, should transform themselves"
"Much has recently been written about how a new wave of 'green' corporations is just around the corner, an endogenously transformed phalanx of knights in shining armour just waiting to rescue us. Pavan Sukhdev says 'not so', but he also shows with consummate skill and clarity what exogenous changes can be made, to re-engineer the 'social contract' between society and corporations in the twenty-first century." "The ideas and assertions in this book blow well past 'insightful' and edge toward 'revolutionary' insofar as they expose major fallacies in our most basic assumptions about what we call our 'economy'. It's an equally important exposure for corporate leaders and leaders of the movement for environmental sustainability, because both need to move beyond the 'infancy phase' in terms of truly understanding and acknowledging the value of natural resources. A seriously inspiring and, ultimately, very hopeful piece of work." "Pavan Sukhdev writes with extraordinary clarity, compassion and conscience, laying the ground for a whole system economics. Recognizing that all human activity is part of nature, and that nature is essential for human wellbeing, Sukhdev creates an economic framework for the restoration of human and natural systems. 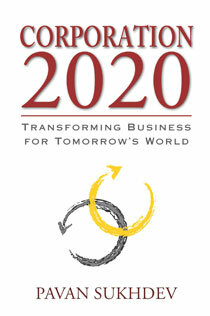 Corporation 2020 brilliantly lays out a pathway for corporations, countries and citizens towards the earth's health." "When Pavan Sukhdev comes along and writes an extraordinary book, and backs it up with an extraordinary campaign and a really good website to promote...a change in the basic culture, definition, and orientation of corporations in our society, it's very timely, and it's very important to take what he has to say seriously." "Pavan Sukhdev discusses in every detail the problems we have created for ourselves today and our apathy towards participating in discussions which are no longer 'maybes' and 'ifs' but are in fact certainties. Yet in the end, he provides us with a positive manifesto for transformation. Corporation 2020, written with clarity and concern, offers a realistic framework within which we can redesign and rebuild our global community." "Corporation 2020 is an indispensable contribution to the global transformation of finance and corporations as humanity re-integrates centuries of knowledge and continues its inevitable transition from the first Industrial Era... Pavan Sukhdev is a powerful standard-bearer leading us to the cleaner, knowledge-rich Green Economy globally, and this book provides a benchmark and guide to this better future for humanity." "It's rare that reading someone else's book persuades you that a new book you are about to write is going in the wrong direction, but Corporation 2020 did that for (or perhaps to) me." What happens when a company misleads consumers and intentionally pollutes the environment? We asked some of our authors to comment on the recent Volkswagen emissions scandal. Check out what they had to say below and share your own thoughts in the comments. This content originally appeared on SierraClub.org and is re-posted with permission. As an environmentalist, I probably shouldn’t say this, but I love my car. For starters, I love its exceptional fuel economy—an average of 37.5 miles per gallon in the four years I’ve owned it and typically up to 45 mpg on the highway, a significant boost above the U.S. vehicle fleet average of 23.6 mpg. I love its understated style—sleek, compact, and modern without looking flashy. I’ve even come to love the feline purr of its diesel engine, the little rumble that signals its latent power. Unfortunately, my dream car is something of a mirage. That’s because I’m the owner of a 2010 Volkswagen Jetta SportWagen TDI, one of the nearly half a million VWs that, as the company now admits, was secretly manipulated to evade U.S. and California clean air regulations. VW sold me, and hundreds of thousands of other Americans, a vehicle whose green promises (“clean diesel!”) were little more than a smoke screen. Let’s be real: Owning a car is a regrettable necessity in our sprawling, industrial landscape. I’m lucky enough to live in a region—the San Francisco Bay Area—where I don’t have to drive much. I commute by bike and train, and I can get everything I need within walking distance of my home. Most weeks, my car sits curbside gathering dust and leaves. But on the weekends, my family and I like to get away to the seashore, the forests, or the mountains—and for that we need a car. Continue reading more of Jason's thoughts here. The deliberate deception on Volkswagen’s part represents a breach of trust that will undoubtedly affect the company’s reputation and brand image for years to come. But the ripple effects of this scandal are even broader. For those who are cynical about capitalist motives, it simply reinforces the unfortunate stereotypes of corporate greed and manipulation. For those who respect the efforts of global corporations to be environmentally and socially responsible, myself included, it represents a setback in public perception of the business community. From my experience, the large majority of companies work hard to uphold their values and ethical standards, and are sincerely dedicated to the sustainability goals that they profess. Occasionally they are guilty of errors in judgment, and we have certainly witnessed a number of incidents where automotive companies clearly failed to protect the safety of their customers. However, even though no one was physically injured by Volkswagen’s actions, the company grossly violated the basic claim of their product—clean diesel engines. This is an unprecedented insult to society, comparable to the Enron scandal, and I expect that in the near term it will taint the credibility of corporate sustainability programs in every industry. My book Corporation 2020 (Island Press, 2012) on the evolution of the Corporation – past, present and future – explored the changes that were needed in policies, prices and institutions to change the DNA of the Corporation. Today's economy and politics is dominated by the ethically challenged DNA of 'Corporation 1920,' steeped in the economic philosophy of Milton Friedman, and guided solely by the pursuit of profits, with their goals mis-aligned with society, generating trillions of dollars in social costs: the negative externalities of "business-as-usual." But I was able to find and describe many successful instances of the new DNA – corporations with social purpose, positive externalities, achieving private profits without inflicting public losses. And every so often, I hear or see something that makes me think I have found another one…. Such was my impression when I visited Volkswagen in Wolfsburg a year ago, to teach a seminar. I learned that their cars and assembly lines were being designed to ensure each model and chassis could take four types of engines: petrol, diesel, hybrid and electric. It seemed a very pragmatic way of staying open to business for a fossil-fuel-free world of tomorrow. But in hindsight, it was more likely a pragmatic way of staying open to a diesel-engine-free future. Volkswagen is guilty of misdemeanour on a massive scale but it looks like they are not alone. Recent research by the Institute for Transport Studies at Leeds University, UK, suggests that Mercedes, BMW, Ford, and Mazda diesel cars are even more polluting than Volkswagen, and up to the same software deceit. How can an entire industry go so wrong? Very simple: by being driven solely by the pursuit of financial profits, totally ignoring the wider world of human, social and natural capital that they depend on and have impacts on. That is why we need a new corporate performance measuring system such as Akzo-Nobel's "4D-P&L" concept, see www.corp2020.com. You cannot manage what you do not measure. Accountancy regulators need to wake up from their sleep of a century, and realise that the financial reporting of 1920 is simply NOT good enough for 2020! Pavan Sukhdev is author of Corporation 2020 and Founder-CEO of GIST Advisory, an environmental consulting firm that helps governments and corporations discover, value, and manage their impacts on natural and human capital.